Walt Disney could see his dreams coming true before they became tangible things. He envisioned the life he wanted to live before he started living it. In fact, he dreamed Disney World into being – first coming up with a concept and then working to make it real to everyone else. Somehow, when Walt was drawing Mickey and Minnie Mouse and creating story boards to tell their stories, he was imagining a time when the characters would leap off the paper and run around in the physical world. While he was making cartoons for kids to watch on the moving box called television, he was also visualizing when children would be able to put their hands on the characters and hug them. Vision is necessary before you can achieve things. What you visualize is what you achieve. What you see is what you get. There are many of us (myself included) with prescriptions for physical glasses but there are many more of us with warped vision – we see struggles and hardships, we see closed doors and rejection letters and excuses. We see gaps and mountains and divides that can’t be overcome. We spend our time worrying about things that could happen instead of focusing on the things that we want to happen. We would probably be better off bringing things into perspective to focus on what you want. Sure there are challenges to accomplishing your dream. Sometimes building the bridge to cross the gap is part of what’s necessary to make you strong enough to work on the vision. Get building. Sometimes rejections are necessary to let you prove whether you want this enough to keep going in spite of other people’s perceptions. Keep pushing. When no one else believes in your dream and you have to work on it alone, maybe it’s because you needed time to develop and grow so you’re ready when the right partner comes along. Keep growing. No accomplishment happens without first a vision of that dream coming true. 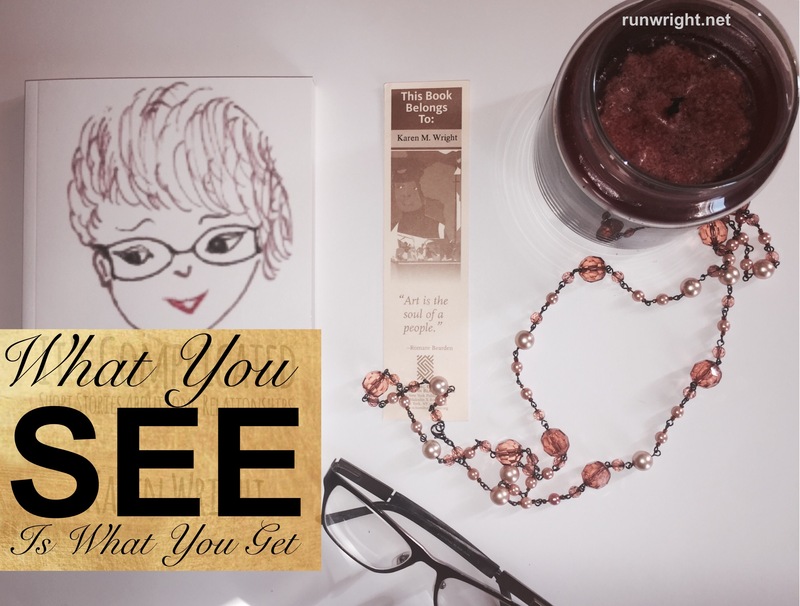 If what you see is what you get, what do you see? Find me on Bloglovin, Instagram, Pinterest and Twitter . Love this post! So agree, what you visualize is what you get! I totally believe that, that is why I am always telling people dream big, why not shoot for anything you want. Because once you want it, you can start visualizing how to get it and who knows eventually you just may have it! I love visualization. I combine it with prayer. Both are powerful tools.